Remote, isolated, rugged, and sometimes inaccessible, the park can be challenging to experience. Now, through advanced technology, Channel Islands Live brings the park to you. Join rangers as they dive through towering kelp forests and hike dramatic island trails. Explore the Anacapa Light Station. See nesting bald eagles and the region’s largest western gull rookery. Learn about this unique island chain, the threats confronting it, and how our national park is protecting and restoring this diverse ecosystem. 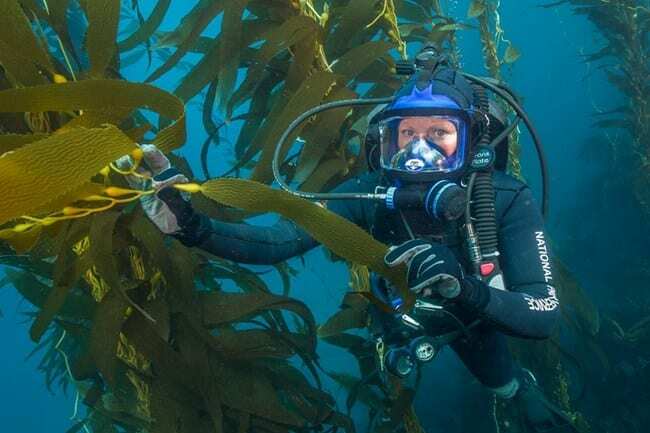 Channel Islands Live includes interactive broadcasts where visitors can talk to the rangers and ask questions, curriculum-based presentations for schools, and webcams for monitoring island and underwater features. By bridging the channel through technology we are helping plant the seeds of understanding that can grow into the desire to preserve and protect this extraordinary place. Park visitors and students can join us for these programs on Anacapa Island, at the Robert J. Lagomarsino Visitor Center in Ventura Harbor, in classrooms, and on the Internet. Live dive programs every Wednesday in the summer at 1:30 pm CLICK HERE to join!